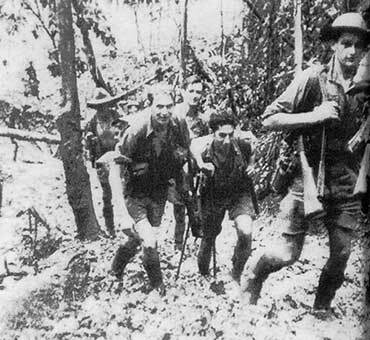 After the fighting withdrawal from Deniki on 13 August 1942, the 39th Battalion consolidated its position at Isurava located higher up in the mountains on a ridge with the deep Eora Creek to the east and dense jungle slopes to the west. Lieutenant Colonel Ralph Honner took command on 16 August and for several days there were only minor patrol skirmishes, while the Japanese gathered their strength for a major offensive. On 19 August Brigadier Selwyn Porter arrived in the forward area to command Maroubra Force, which included the 53rd Battalion holding the rear position at Alola. On 23 August Brigadier Arnold Potts, the Commander of the 21st Brigade, assumed command from Porter. Brigadier Potts decided that his 2/14th Battalion would relieve the exhausted 39th Battalion. Lieutenant Colonel Arthur Key and Lieutenant Colonel Honner realising the seriousness of the situation suggested to Brigadier Potts, the commanding officer of the 2/14th Battalion, that the 39th Battalion should remain, to which he agreed. On 26 August the Japanese began their offensive which was engaged and held up by the patrols forward of Isurava and across Eora Creek to the right. 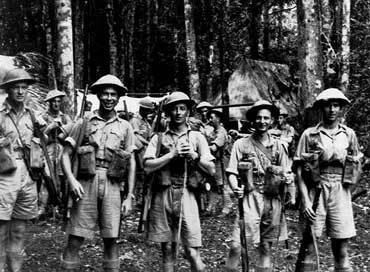 The leading elements of the 2/14th Battalion began to arrive at Isurava on the evening of 26 August. Corporal Charles McCallum accounted for 40 Japanese, using both Bren and Tommy guns, and was also recommended for the Victoria Cross but received the Distinguished Conduct Medal. CITATION: In New Guinea, the Battalion to which Private Kingsbury belonged had been holding a position in the Isurava area for two days against continuous and fierce enemy attacks. 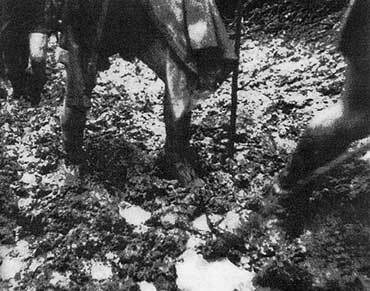 On 29th August, 1942, the enemy attacked in such force that they succeeded in breaking through the Battalion’s right flank, creating serious threats both to the rest of the Battalion and to its Headquarters. To avoid the situation becoming more desperate it was essential to regain immediately lost ground on the right flank. Private Kingsbury, who was one of the few survivors of a Platoon which had been overrun and severely cut about by the enemy, immediately volunteered to join a different platoon which had been ordered to counter- attack. He rushed forward firing the Bren gun from his hip through terrific machine-gun fire and succeeded in clearing a path through the enemy. Continuing to sweep enemy positions with his fire and inflicting an extremely high number of casualties on them, Private Kingsbury was then seen to fall to the ground shot dead by the bullet from a sniper hiding in the wood. Private Kingsbury displayed a complete disregard for his own safety. His initiative and superb courage made possible the recapture of a position which undoubtedly saved Battalion Headquarters, as well as causing heavy casualties amongst the enemy. His coolness, determination and devotion to duty in the face of great odds was an inspiration to his comrades.